When you clean your diesel tank you want to have it full of fuel (so you’re cleaning the entire tank). When you clean it there is a device that goes down like a snake into the tank. It vibrates and goes all the way around the tank banging the sides and the bottom to loosen the algae growth and dirt that has accumulated. The next thing to do is draw the fuel out of the tank through a filter system and then back into the tank. This is called “fuel polishing” and the process cleans out all the water and contaminants (including algae growth). After this process you will have the best quality fuel in your tank. 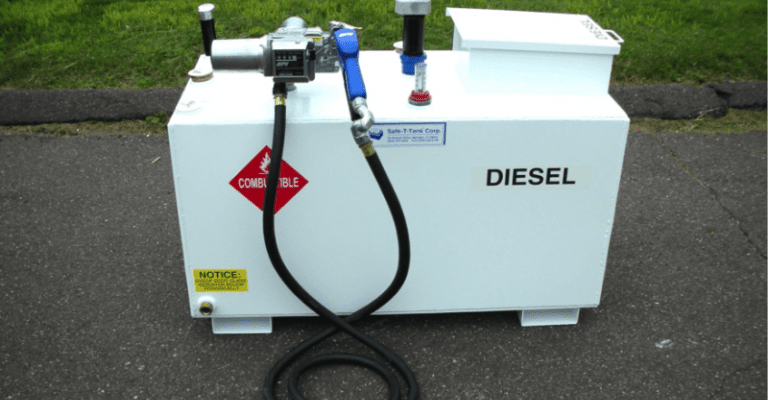 You can fuel polish tanks anywhere from a small 20 gallon tank to a 10,000 gallon tank. This process is very important because dirty fuel can affect the injectors of your engine. It can clog fuel filters and cause a lot of damage that would be very expensive to fix in the long run. Every year the fuel should be tested in the tank. We generally suggest a fuel polishing at least every 3 years.